We have a trial version of our Mechanism Generator 2.0 software available. 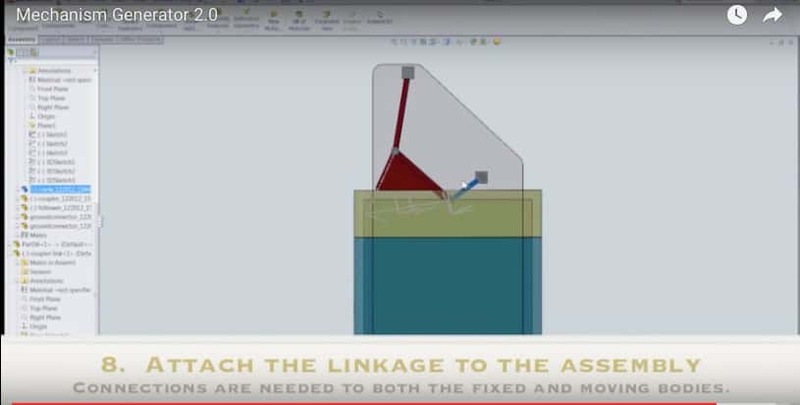 MechGen 2 reads five task positions of a moving part in SolidWorks and generates a set of linkages that approximate the positions within specified tolerances. An animation previewer shows how each linkage moves. Select one and MechGen 2 generates the solid model of the linkage. This is the result of excellent work by Alex Arredondo and Kaustubh Sonawale.